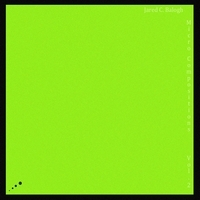 In 2012 we released "Micro Compositions", an album of short, eclectic electronic compositions by American composer Jared C. Balogh. Today marks the release of the follow-up album "Micro Compositions Vol. 2", which is of course available as a free download. You can grab your copy here.